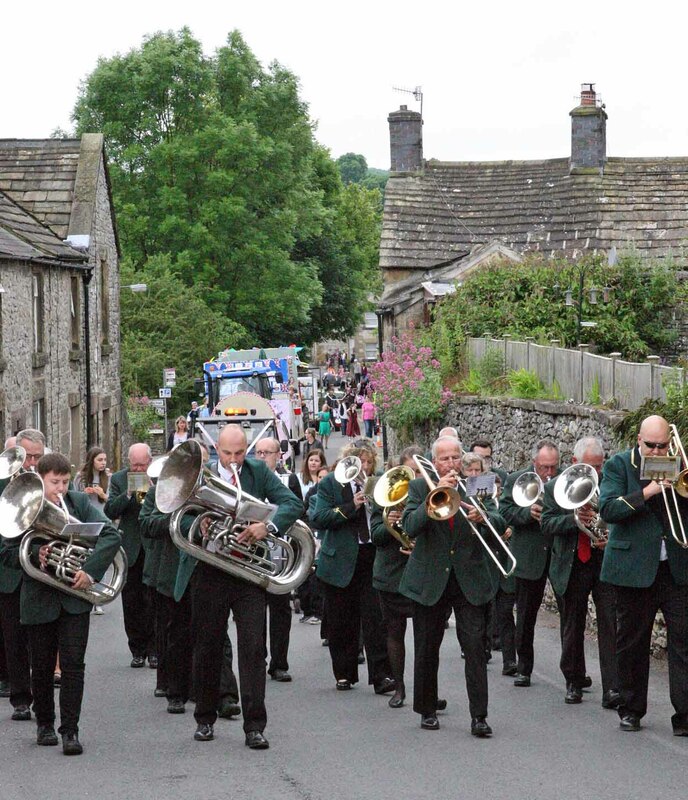 10th June Sunday – 7pm -Barrington’s –Darley Dale. 24th June – Sunday – 6pm, Service, 7pm concert – Youlgrave Westlyan Chapel. 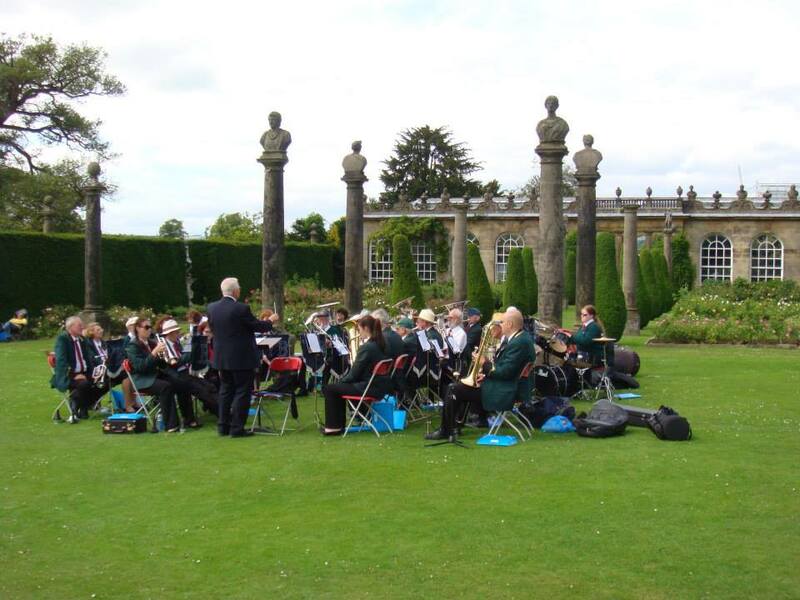 4th July – Wednesday – eve – Bands in the Park – Bakewell Recreation ground. 8th July – Sunday– 2pm – 4pm Tansley Church – Flower Festival. 20th August – tour of battlefields followed by evening concert. 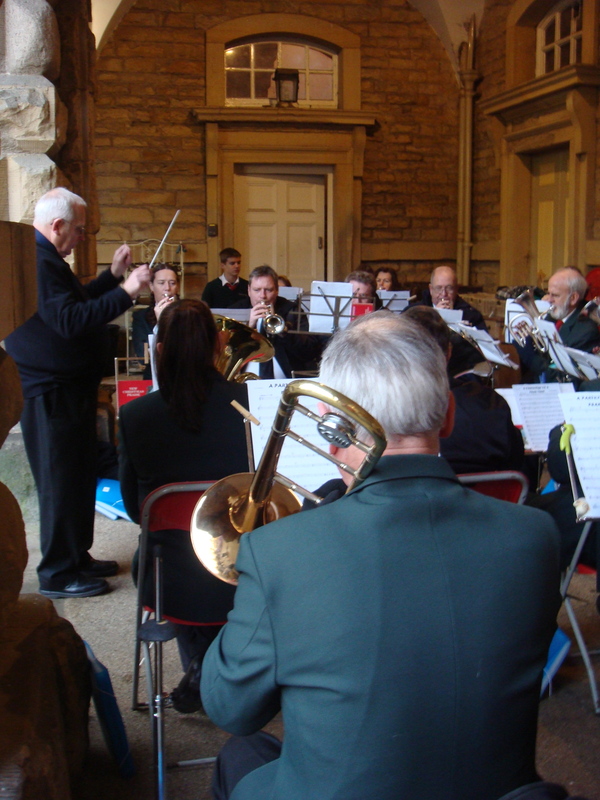 We absolutely froze on the Buxton Pavilion park bandstand on Bank Holiday Monday 17th April, giving our first concert of the year, but we received wonderful comments by an appreciative audience. There is no doubt that the band improves each year, regardless of our lack of cornet players. Your opportunity to hear us play again will be at our next concert on Thursday 18th May, at 7pm at Youlgrave’s Methodist Chapel. I know you will enjoy watching and listening to us. The concert will consist of lots of new music specially chosen, or bought by our enthusiastic conductor and it will of course include pieces of music played entirely by the “must see” Learner Band (and the “must hear” jokes by our conductor!). We will also be proud to present at these concerts two young players from our Learner Band who have now progressed to join the full band and become regular players. These are Max and Archer Skinner. Well done to both of you. We have adults and children in the Learner Band, so if you are interested in learning to play please come along to the Methodist Church Hall at 7pm on a Thursday evening. We can provide an instrument and tuition for you. If you can play a brass instrument, particularly the cornet or trombone, please come and join us: Thursdays at 7.30pm at the Methodist Chapel. 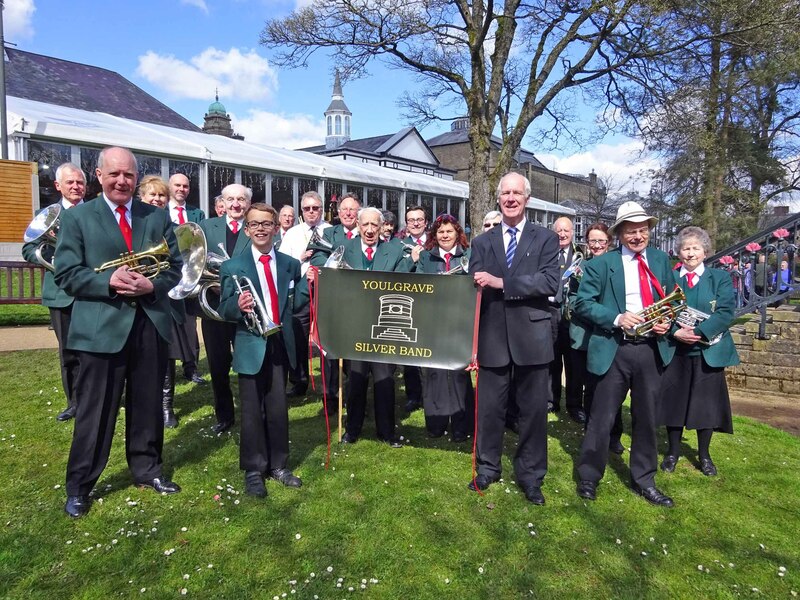 Youlgrave Silver Band played their first performance of the year at Buxton Pavilion park bandstand on Sunday 17 April 2017. We displayed our new banner to the crowds and gave an impressive performance, despite the cold. The New Year had started with great enthusiasm, and with the unexpected profit from last year’s concerts we bought some new music and stands. Our AGM was held in March and produced a change of treasurer. Unfortunately our conductor then resigned, but fortunately we are lucky enough to have Ian Wildgoose from Bakewell to take over the job, and so far it is proving to be a delightful situation. The Junior band is also progressing well and will perform their new pieces. It’s conducted by Helen Mellor and led by Harry Houghton, who has just been awarded a grade 4 merit, a high exam achievement at only 10 years old. We would love you to come to our next performance on Thursday 19 May at 7pm in the Methodist Church, Youlgrave. Refreshments (which are always so wonderful!) will be served following the music. Please come and support us and listen to our new music. And if you feel inspired to take up an instrument, or you are new to the area and already play, please join us on a Thursday evening, 7.30pm at the Methodist Church Hall in Youlgrave. 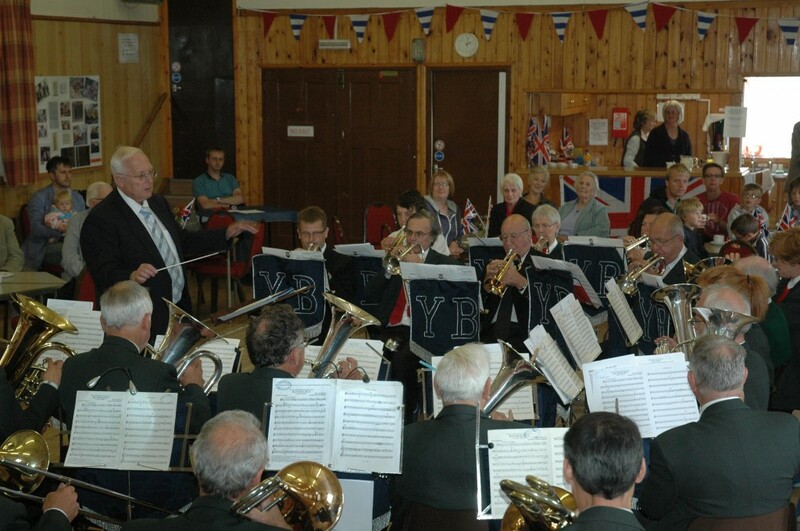 YOULGRAVE SILVER CHRISTMAS BAND CONCERT, Tuesday 1 December at 7.30pm. Special performance by the Youlgrave Band Junior section. Interval Refreshments, raffle, good cheery music. Youlgrave Village Hall, entrance £5. The first half is serious music, second half Christmas fun and carols. There’s no better way to start Christmas! Why not bring your Christmas hat and bells to sing and join in with us. Saturday 5 December, Listen to our carol playing in Bakewell from 10 am outside the Co-op. Thursday 10 December, Early evening carols all around the village. Youlgrave Band… also known as Pommy Band. We play every Thursday evening At 8pm in the Methodist Chapel, Coldwell End, Youlgrave. Contact: the Secretary on 01629 630202. The band has a group, which meets at 7pm each Thursday before band practice. It is aimed for those who would like to learn to play or improve their playing of a brass instrument in order to join the band. Any learners are welcome, and visiting holiday makers who play brass instruments, are also welcome to join in the practice on a Thursday. 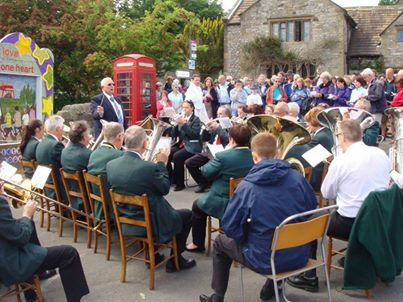 ‘There used to be a Brass Band dating back to about the year 1860, called ‘The Youlgrave Old Band. From members of this old band, it was said that a whole band could be formed, of which every player was a member of the Frost family. 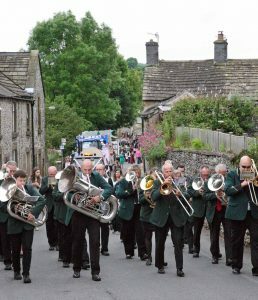 But regarding the present band – about 36 years ago, Mr George Fowler and Mr J. Buxton and others started to collect a fund for buying instruments for the purpose of forming a band. The required amount was raised and the band formed, with the title the Youlgrave Public Brass Band, the instruments belonging to the people of Youlgrave.